I joined the University of Leeds' Centre for Employment Relations Innovation and Change (CERIC) and the Work and Employment Relations Division in October 2010, moving from the Working Lives Research Institute at London Metropolitan University where managed a number of research projects on work and employment, particularly looking at migrant workers. 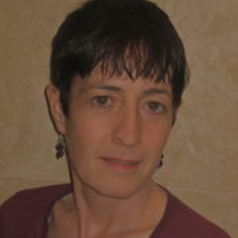 My research interests include trade unions and the development of organising and recruitment strategies, particularly as they relate to under-represented groups in the union movement; gender and industrial relations; the labour market position of migrants and black and minority ethnic groups; new geographies of labour and the politics of intersectionality (‘race’, class, gender, etc). After seven years of working in the university sector in publications and multi-media I completed a part-time MA in Labour and Trade Union Studies at the University of North London (now merged into London Metropolitan University) and then went on to complete my doctoral research which was funded by the ESRC and the Trades Union Congress on ‘Organising black and minority ethnic workers; trade union strategies for recruitment and inclusion’ at Queen Mary, University of London. Following this I was awarded an ESRC Postdoctoral Fellowship at Queen Mary, University of London. I have also held a number of positions in the trade union movement – as a branch secretary, regional council delegate and secretary of Hackney Trades Union Council. I have worked closely on research projects with a number of unions including the GMB, TGWU, CWU, Bectu, Usdaw and the Trades Union Congress. I was awarded an ESRC grant for a research project starting in 2011 entitled Broad-based community alliances: a comparative study of London and Sydney’.